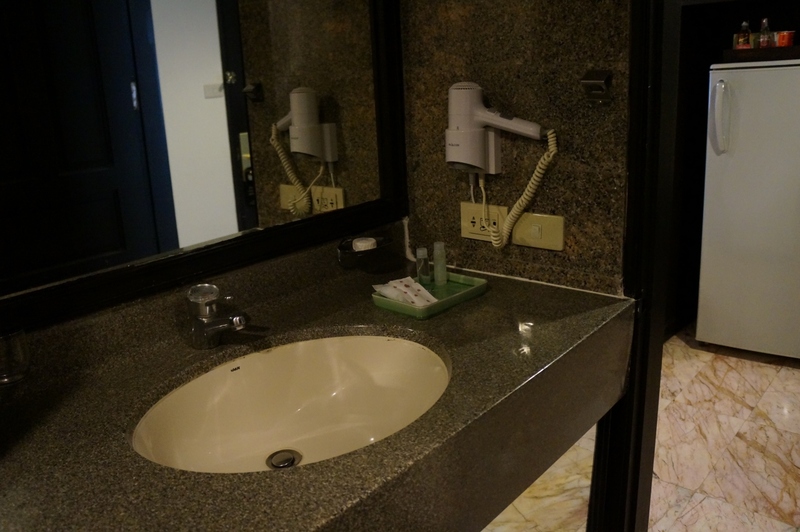 I stayed at 2 different hotels during my first trip to Bangkok, Thailand. I really enjoyed both hotels. 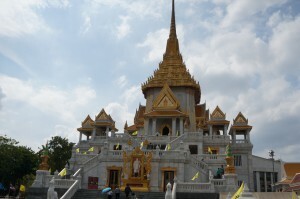 Today, I write about the Urbana Langsuan in the Lumpini district of Bangkok. The Urbana Langsuan is located in Langsuan Rd., which is a business district road. There’s a BTS sky train station “Chit Lom” at the intersection with Sukhumvit Rd. (about 10 minutes walking). You’ll find a few restaurants and lots of other hotels in Langsuan Rd. One of the “entertainment districts” is one stop with the BTS train away. 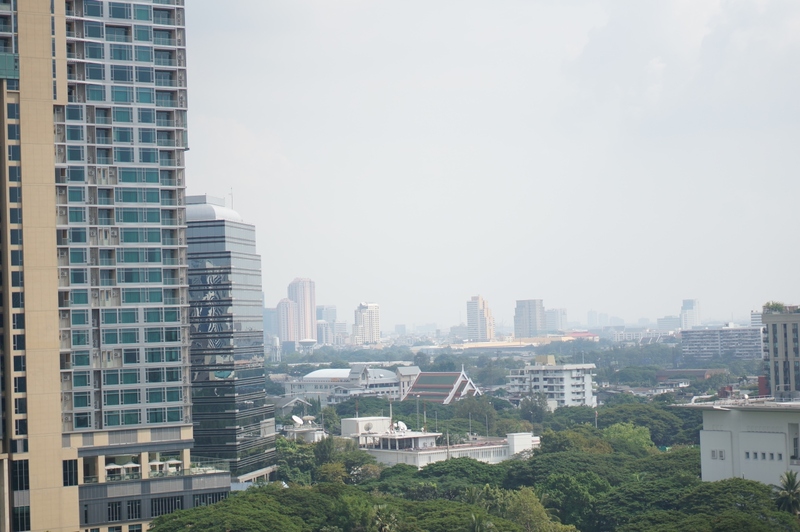 All the famous shopping malls like Central World Plaza and Siam Paragon are about 15-25 minutes walking time away. There’s a 7/11 store and a shopping mall between the BTS station and the hotel. Even at late hours you’re still able to buy some cool drinks or a snack. The reception staff speaks good english. They even got me a room on a high floor as I requested. I had a studio room during my 2 nights stay at this hotel. The room features a king size bed, flat screen, a coach and a small pantry with microwave. The enclosed bathroom has a shower cabin with rain shower feature. 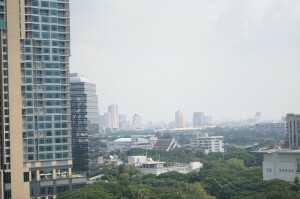 The room also has a balcony to enjoy the urban views of Bangkok. The whole room has a friendly and warm interior. The room was clean. It was very quiet thanks to the high floor. Free WiFi was included in the rate, because I booked online. I had a stable and fast connection. I haven’t tried the breakfast, because it’s only open until 10am. There’s also a pool, a spa and a gym on the higher floors. Can I recommend this hotel? 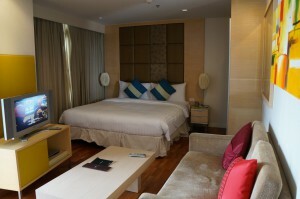 Yes, it is a great option for your stay in Bangkok. I stayed to 2 different hotels during my first trip to Bangkok, Thailand. I really enjoyed both hotels. 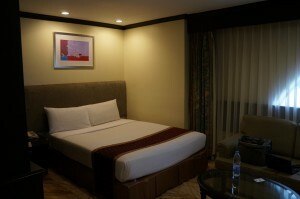 I start my series of reviews with the Grand President Hotel in the Sukhumvit district of Bangkok. The Grand President is located in Soi Sukhumvit 11, which is a quiet (for Bangkok) side street of the Sukhumvit Rd. There’s a BTS sky train station “Nana” right at the intersection. You’ll find a few bars and restaurants and a “German beer garden” near the hotel. One of the “entertainment districts” is about 10 minutes walking distance away. Another one is one stop with the BTS train away. All the famous shopping malls like Central World Plaza and Siam Paragon are about 10 minutes/3 BTS train stops away. Terminal 21 is only one stop away. Get off at “Asok”. There’s a 7/11 store between the BTS station and the hotel. Even at late hours you’re still able to buy some cool drinks or a snack. The reception staff speaks good english. They even upgraded me to a better category. A had a deluxe room during my 4 nights stay at this hotel. The room features a king size bed, flat screen, a coach and a fridge. The enclosed bathroom has a bath tub with integrated shower. The whole room has a very dark (black/dark brown) interior. The room was clean. It was a bit noisy during 1 of the 4 nights, because I had a room on one of the lower floors. But this was due to a parade on the street. Free WiFi was included in the rate, because I booked online. I had a stable and fast connection. The international breakfast buffet was okay. Lots of hot and cold food options. Coffee and juice were on offer, but nothing special. Can I recommend this hotel? Yes, it is great option for a short stop over. The MRT subway is a convenient way to get around. The fares start at 16 baht for a single journey. Take the stairs from street level to the station. Upon entering you have to go through a metal detector like at airports. Go to a ticketing machine. You will find there a touch screen with map that displays, how much the fare is when you select your journey. After you payed your fare you will receive a small plastic coin. This is your ticket. Most ticket vending machines accept coins and also bank notes. Day passes are also available. You can purchase them only at the ticket counters located at some stations. Go through the fare gate by placing your coin/token on the scanner. The system works similar to public transport in Europe, look for a sign that tells the name of last station of the line. This will show you in which direction which train will take you. Board the train. On the train they will make announcements about the next stop both in Thai and English. Get off at your designated stop and exit the station through the fare gate. There’s currently 1 line running through the city. 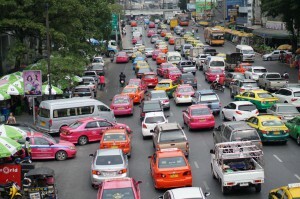 The government of Bangkok is still working on extending the existing network. Here’s a video by DiscoveryThailand, which explains the system pretty detailed. The BTS sky train is a convenient way to get around. The fares start at 10 baht for a single journey. It runs on tracks above the streets of this vibrant city. Take the stairs from street level to the station. Go to a ticketing machine. You will find there a map that displays, how much the fare is for your selected journey. Also look for the name of last stop of this train line, this is important as you will see later.Press the button with the right the fare for your route, pay and receive your paper ticket. Most ticket vending machines accept only coins. There are some machines that accept also bills, but only at selected stations. Day passes are also available for 150 baht. You can purchase them only at the ticket counters located at some stations.Go through the fare gate. Next, take the stairs or escalator up to the trains. The system works similar to public transport in Europe, look for a sign that tells the name of last station of the line. This will show you in which direction which train will take you. Board the train. On the train they will make announcements about the next stop both in Thai and English. Get off at your designated stop and exit the station through the fare gate. Some train stations are also connected to nearby shopping malls by a overpass. There are currently 2 lines running through the city, you can use your ticket on all lines. 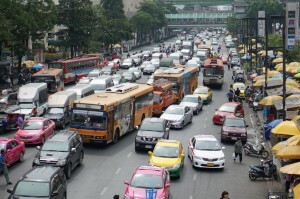 The government of Bangkok is still working on extending the existing network. E.g the trains don’t run to the northern districts yet. 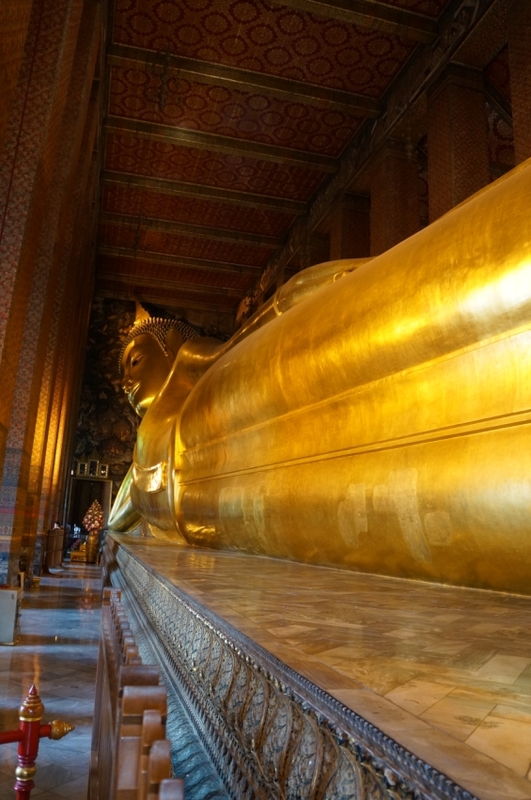 Wat Pho (the Temple of the Reclining Buddha) is one of the most famous Buddhist temples in the world and one of the most visited attractions in Bangkok. At times the temple can be very crowded. Trust me, I’ve been there. It is a must see anyways. The boat ride costs 20 THB. Please be aware of Tuk-tuk drivers in front of the temple, they offer “tourist rates” like at other popular tourist spots. known as Phra Phuttha Maha Suwan Patimakon is the home of the world’s largest solid gold statue. Less visited than Wat Pho is it a good alternative. You can get there by MRT and a bit walking. The MRT station is Hua Lamphong. From there you have to go west and follow the Talat Noi road. I recommend to use a map or a smartphone with Google maps app, because of MRT related construction sites it’s not as easy to find. 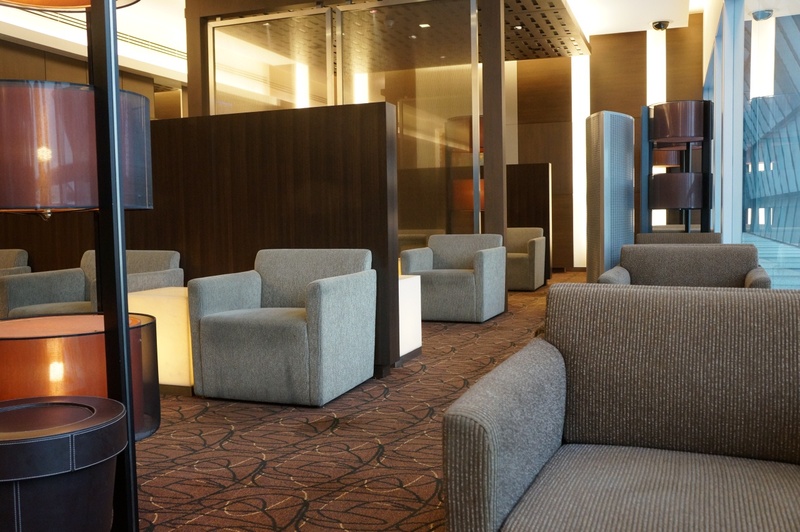 Welcome to my review of the Singapore Airlines SilverKris Lounge in the international area at Bangkok Suvarnabhumi Airport. It is a Star Alliance Gold lounge at Concourse A. After presenting your boarding pass and Star Alliance Gold member card to the lounge agent. You find yourself at the buffet section of the lounge. You can find here an intensive selection of hot and cold food. Hot tomatoes, bacon and eggs in the morning. Fresh fruits like water melons, papaya and pineapples and biscuits can also be found. A selection of alcoholic, and non alcohol drinks in the fridge, are available. 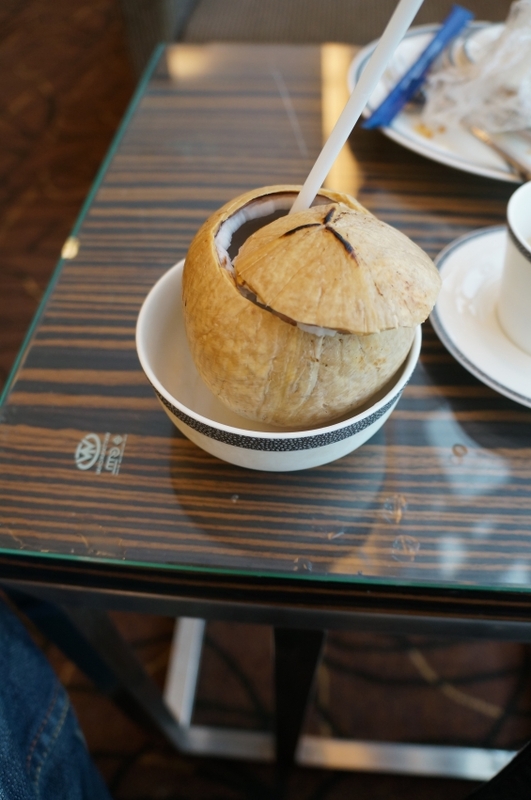 There’s something special in the fridge: Coconut juice ready to drink from a coconut. Want to check your emails? 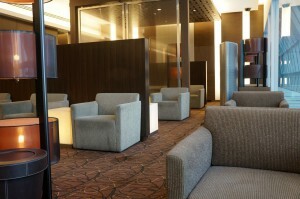 Singapore airlines offers free WiFi throughout the lounge. Also check out the view over the airport garden from your seat, while enjoying a cup of ice cream. It is a small lounge, but it offers plenty of relaxing armchairs and a warm atmosphere. 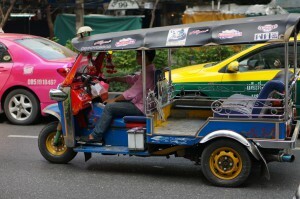 When you think about Bangkok and getting around in this big city, 2 things come into your mind. 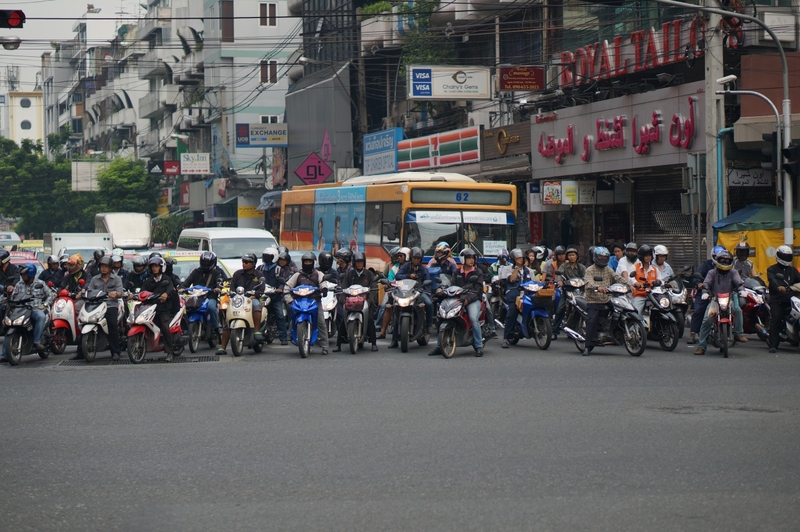 “Tuk-tuks” and the dangerous moto-bikes. 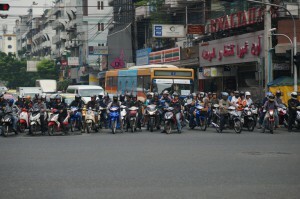 But there are far more ways getting around in the city of angels known as Bangkok. this is a train service that runs through many parts of the city. It runs on tracks above the streets. The fares start at 10 baht for a single journey. Take the stairs from street level to the station. Go to a ticketing machine select the fare for your route and pay, receive your paper ticket, go through the fare gate. Next take the stairs or escalator up to the trains. Board the train, get off and exit the station through the fare gate. Day passes are also available for 150 baht. You can purchase them only at the ticket counters located at some stations. 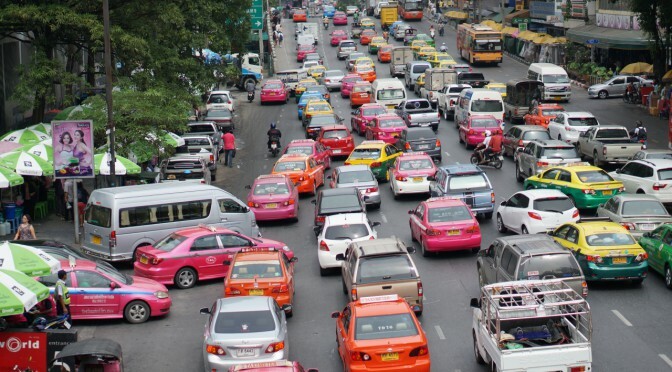 The government of Bangkok is still working on extending the existing ney network. E.g the trains don’t run to the northern districts yet. Bangkok also has an underground/subway train service. 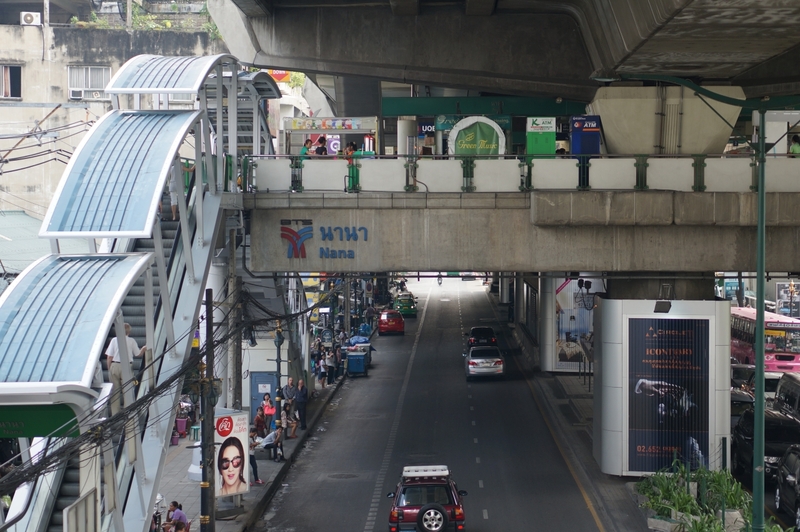 There’s an interchange with the BTS Sky train at the Asok BTS station. The MRT network is still very simple. There’s one line and it runs from the north to the south.The Bangkok goverment is still expanding the network. There are two different types in Bangkok. Taxis and metered taxis. The metered taxis work like in most other countries. But you can also find taxis without meter. Then you have to know the price for they journey and know how to negotiate with the driver. You can recognise the difference by searching for a sign on the roof of the car. As Thai people write things differently in english, look for “Taxi-meter”. 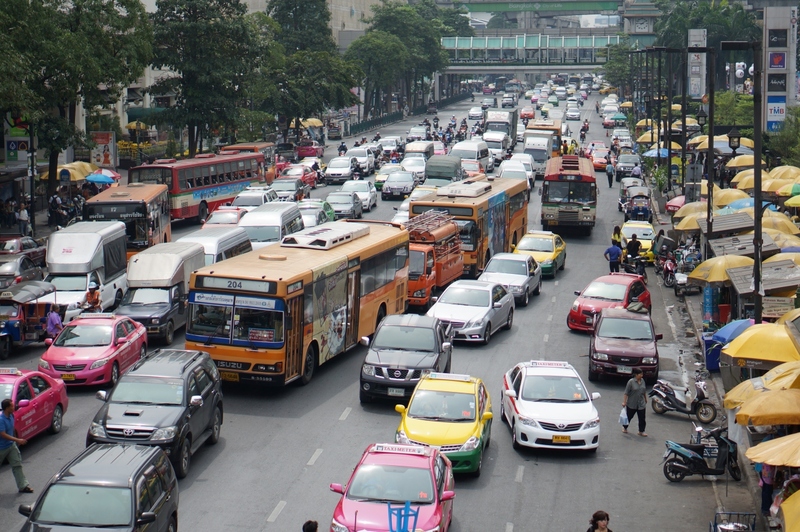 Getting around by bus can be a unique experience in Bangkok. There are not only modern air-conditioned buses, you may see some of the older ones that look like, they’re from the 1960. Get on the buses at bus stops that consist of signs with the buses’ numbers on them. Make sure you give a sign to the driver that you want to get on the bus. Tickets are bought on board the buses. Show the driver you want to get off the bus by standing up approaching the doors. 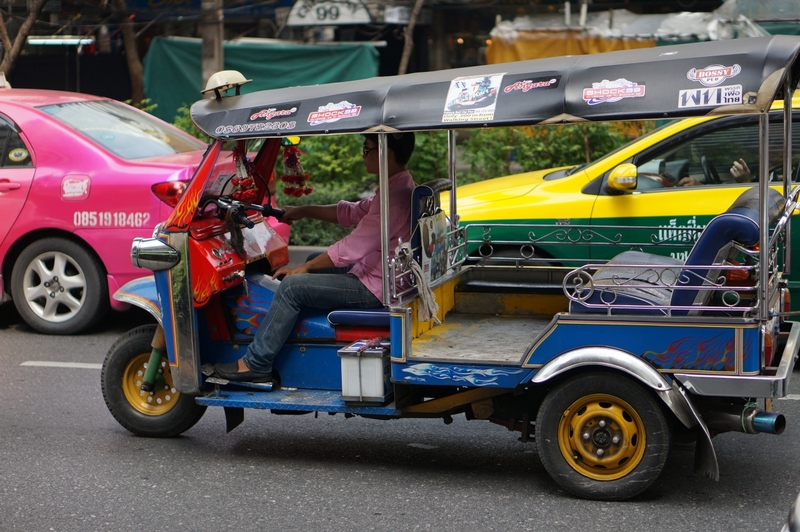 Stay tuned for part 2 of Bangkok – Getting around, in which I write about more Bangkok styles of getting around.